A 4-year-old girl presented with a history of acute-onset drooping of the left eye lid for 10 days. 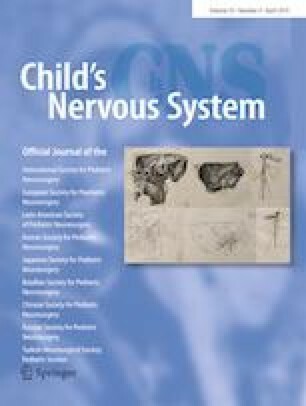 There was no associated fever, cough, reduced appetite, recent-onset motor weakness, seizure, or alteration in consciousness. 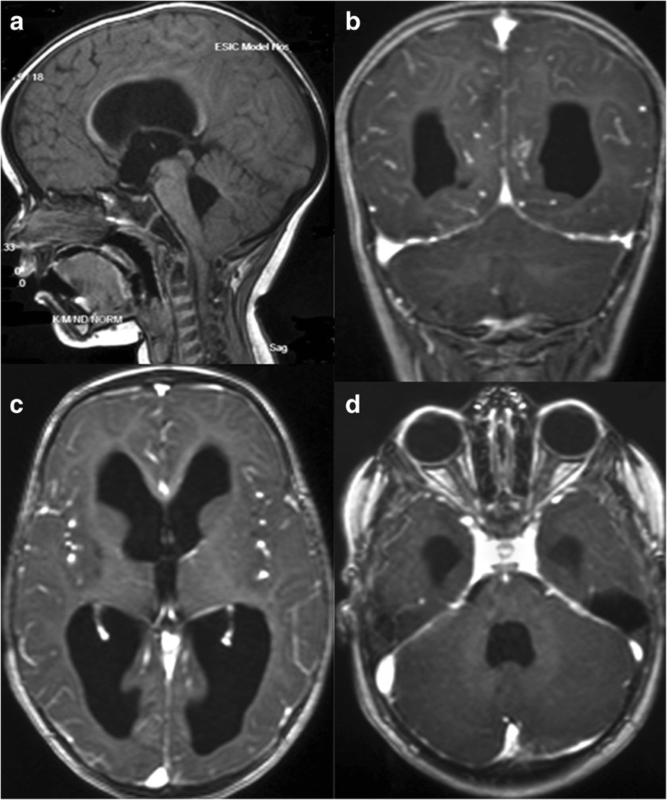 She had been diagnosed with tubercular meningitis with vasculitis, left hemiparesis, and communicating hydrocephalous at the age of 1.5 years (Fig. 1a–d) and took a prolonged course of anti-tubercular therapy for 2 years. At 3 years of age, she underwent right ventriculoperitoneal shunt placement for symptomatic hydrocephalous. Subsequently, she had remained well with residual hemiparesis.